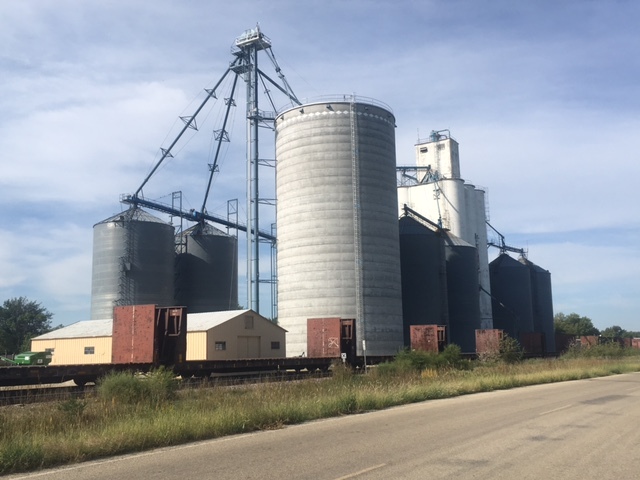 Trip Log – Day 320 – Manhattan KS to Bennington KS | How Will We Live Tomorrow? Bicycle route challenges crop up in the oddest places. 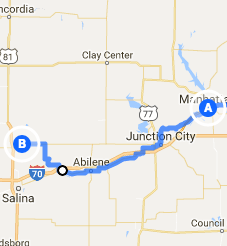 Google Maps showed me a great route from Manhattan to Abilene, but my hosts cautioned that it went through Fort Riley, where bicycles are not allowed. They helped me map another route, complicated by rivers and dirt roads and limited access highways. Kansas limits bicycle access more than any state I’ve visited; not just Interstates but certain US Highways as well. Fourteen miles out I encountered a ‘Bicycles Prohibited’ sign. While I was checking alternatives on my phone, a guy in a pick-up hauling a boat stopped to check his hitch and offered me a ride past the restriction. Such is the luck of my journey. Back in bicycle friendly territory, Old US 40 through Chapman to Abilene proved a great route. Navigating Abilene proper was less easy; there are railroad tracks everywhere and an oil tanker train decided to sit astride several for half an hour. 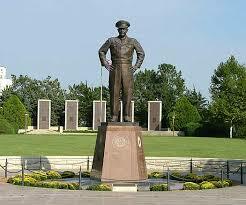 Eisenhower’s Presidential Library and Museum is misnamed. It’s a laborious, dark, text-dense labyrinth about World War II with a postscript about Mamie’s style and a few displays about 50’s prosperity. The museum doesn’t even contain a recreation of the Oval Office, which I’ve come to appreciate as a reflection of a President’s personality. One display, however, was super-cool: a model of how the Allies linked barges to offload trucks and supplies for the Normandy Invasion. New rule of bicycle touring: never try to repair a flat at a McDonald’s. I finished my writing break with enough time to pedal 27 miles to Bennington only to find my front tire flat. Very odd, as front tires almost never go flat. I suspected a local prankster or the gravel road I used to skirt the oil train. Whatever the cause, my trauma attracted Abilenians like flies, all keen with advice and their own bicycle stories. I finally had to move Tom away from the golden arches to focus on the problem. 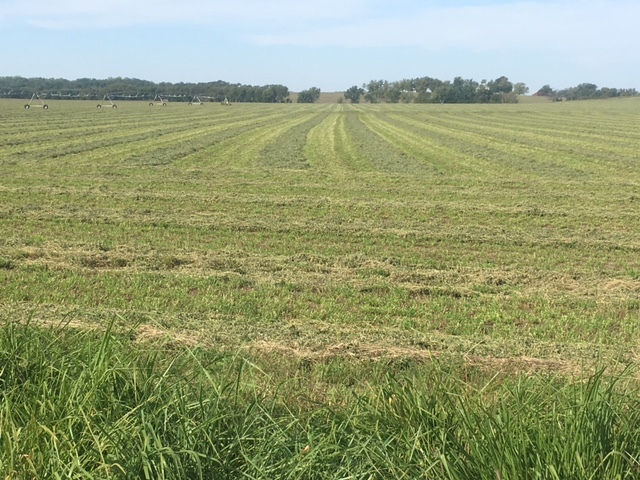 Eventually, flat fixed and wind coming up from my left flank; I sailed across Kansas Highway 18 to Bennington, through wide countryside and gentle swales. I reached my host’s home in time for a delicious dinner and libertarian discourse. 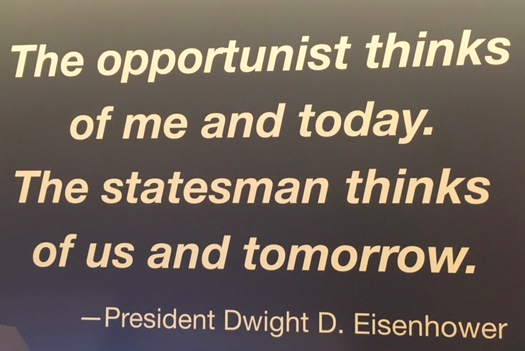 Kansas is not just a red state. Utter the two words ‘federal government’ in sequence and some people thirst to draw blood. 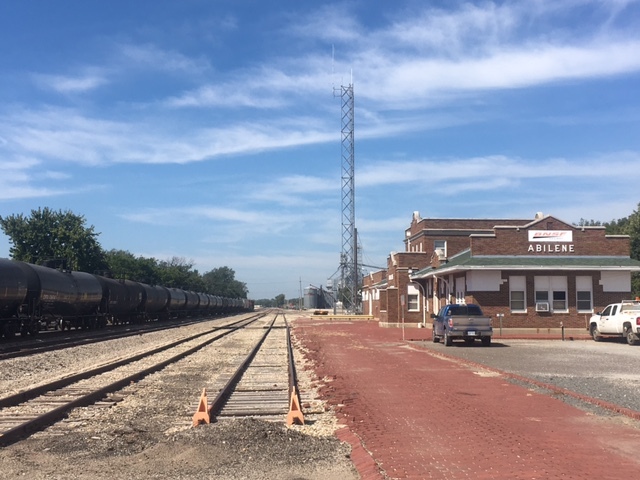 This entry was posted in Bicycle Trip Log and tagged Abilene KS, Bennington KS, Eisenhowr Museum. Bookmark the permalink.